IF you don't realize the importance of the 15 Heliar, let me explain it to you. 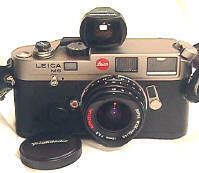 The standardized Leica screw mount was introduced in 1931. In the intervening 68 years, this was the widest lens ever made in LTM mount until Voigtlander brought out the even wider 12! The 15 also matches the widest lens ever made for the M mount, the ultra rare limited production 15/8 Zeiss Hologon which fetches a modest $10,000 from collectors lucky enough to find one today in mint condition. 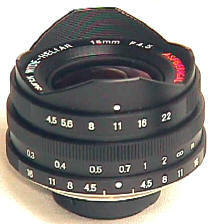 In other words, this is the only regular production 15mm lens ever in LTM or M mount!!! Shooter after shooter has reported great results with it. The 15's importance goes beyond that. It made the new Voigtlander. 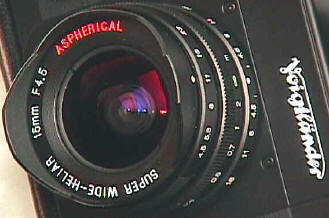 When 1st introduced, people couldn't believe a quality 15 lens could be made for such a low price. Cosina gambled big on this lens, and won big. As report after report raved about the new 15, the new Voigtlander lineup was on its way. The 15 put Cosina's new Voigtlander lens lineup on the photographic map. 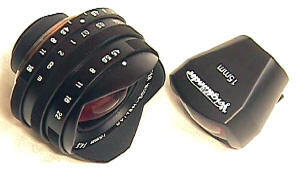 In September 2003 the SL 15/4.5 was introduced in Nikon F mount for mirror lock up.